How can digital technology help you with your startup? What are some of the new opportunities now available using digital technologies? How has technology helped lower the cost on entry for a startup? Allow you startup to reach customers globally. The more good web pages you build the more keyword searches that can find you. e.g. 200 web pages, 26,000 searches per month. Domain names e.g. www.yourcompany.com cost less that $20 per year. You can create a pilot/test/development website without a domain name. Amazon Web Services (cloud computing provider) has a service called S3 for file storage. This can be used to build static websites. You upload web pages into S3 and make them public. This allows Internet access to those files. Later you can give a S3 folder a domain name when you are ready. The file storage costs is a few dollars per month. A domain name plus a regular web hosting costs about $100 per year. Consider hosting in the country where you expect the most customers. This allows for more dynamic website using WordPress / Joomla etc. content management systems (CMS). This software is free. You only need a web browser to update your website. On top of a CMS you can add modules for visual themes, eCommerce handling, membership handling, special industry functions etc. Some are free and some have costs. If you need a specialised web application then real development is needed. Consider the visual web pages needed, database storage needed and logic of the application. On your own website there are simple eCommerce options available. PayPal buttons and carts can be set up quickly. They take care of the financial transaction and you get an email for the order. You can set the destination web page after purchase. Google Shopping uses advertising and an inventory spreadsheet with description, price, pictures etc. Your products show up in Google Shopping searches. If you expect a lot of traffic from multiple global regions then you need to plan for this from the beginning. Amazon Web Services (cloud computing provider) can provide auto scaling web servers, storage, databases and image storage caching globally. Web servers can be added or removed automatically based on global load to your website. Static files like images from your website can be available from global data centres to speed up response. Your website visitors can be directed to the closest Amazon data centre to speed up response. 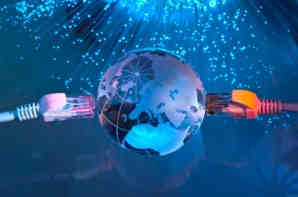 Global website availability and redundancy is maintained even if there are local Internet issues. Clients include: Adobe, 99 Designs, AirBnB, BMW, Citrix, Code.org, Coursera, Erricson, Faifax Media, Financial Times, General Electric, IMDB, Interflora, Lonely Planet, Nasa, Netflix, Newsweek, Open Universities Australia, Rovio, Samsung, SAP, Siemens, Suncorp Bank, Ticketmaster, Ubisoft, Vodaphone, CSIRO, WIX, Zumba and Canva. Craigslist and Gumtree allow you to sell items with no transaction costs. Etsy is good to sell handmade goods online. eBay is good to sell regular good at set prices or at auctions. You can also setup an online store (domestic or global). Shopify allows you to setup an online store. Alibaba and AliExpress allow you to set up a global warehouse/store. Amazon allows setting up a store. You can store inventory at your warehouse or theirs. Fulfillment By Amazon allows Amazon to handle customer deliveries for you. Make a product once and sell it multiple times. Consider digital products to supplement your physical products. e.g. Website link on products, online instructions, how to videos, case studies, frequently asked questions and customer forums.